FMR LLC, the parent company of Fidelity Management & Research Co. has slashed their holdings in AOL to less than 5 perent according to a regulatory filing made on Tuesday. 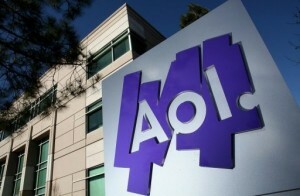 The investment firm had raised their AOL holdings to 10.32 percent in July when the stock was trading at $20. As of Tuesday at noon AOL stocks were up 1 percent to $13.20. The stock sell off comes as Wall Street analysts continue to debate the success of AOL acquisitions, specifically the Huffington Post and Tech Crunch. Analysts are also worried that AOL’s dwindling services base will cut too far into their profit structure. AOL stocks have traded as low as $10.06 in August while at least two analysts at UBS announced today said they believed the company is set to break analysts expectations for total revenue earned from display ads in Q3 2011. FMR LLC was required to file their sale with the Securities and Exchange Commission because they held more than 5 percent of a publicly traded company at the time of sale. Under their new holdings FMR LLC now owns 3,999,679 shares, a 3.739 percent share. AOL and FMR executives have not commented about the sell-off at this time.